Some devastating news to announce coming out of Washington State. 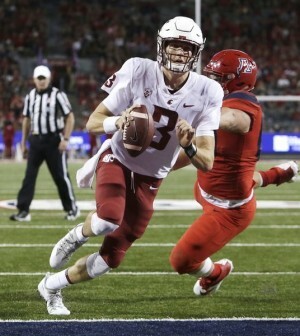 The Pullman Police Department have discovered the dead body of Washington State Cougars QB Tyler Hilinski in his apartment after he failed to show up for practice on Tuesday. Reports are suggesting that the 21-year old died from a self-inflicted gunshot wound. A rifle and suicide note were found beside Hilinski’s dead body. “The tragic news today surrounding Tyler Hilinski is devastating to all. Tyler was a tremendous individual, great friend and teammate, and he will be deeply missed. Our hearts go out to his family and friends,” said WSU’s interim athletic director John Johnson. Hilinski was slated to be the school’s starting quarterback next season. He most recently played in the team’s 42-17 Holiday Bowl loss to the Michigan State Spartans on December 28. He completed 38 of 50 passes for 272 yards, and threw for two touchdowns and one interception.